frictions had reach boiling point, since the forced leasing of torpedo boats and minesweepers to the Germans, and the refusal to turn to the German authorities resistance fighters. Among these ships was the coastal battleship Peder Skram and the cruiser Niels Juel, 21 Torpedo Boats, 13 submarines, two minelayers, six minesweepers and four fishery protection vessels. Indeed on the strategic level, Denmark could close any access to the Baltic sea with simple minefields, with coastal batteries to ensure no ship would attempt to get rid of them. Pressure had been high indeed in 1939 from the allied side to join them. Denmark has been already neutral (see the Danish Navy in WW1), despite having a strategic position, for the same reasons that in 1939. Pressures have been high on both sides, ships had been sunk by error and minefields laid down, but merchant traffic went on. Denmark had the uncomfortable geographical situation of being in the North of the German territory, a maritime peninsula and natural bottleneck in front of Sweden (Skagerrak Strait, the Baltic sea Gate). Who controlled Denmark, controlled the Baltic Sea, as Gibraltar controlled the Mediterranean. The Kingdom of Dannebrog however, had a modest navy, barely sufficient to defend its coast. Denmark was at the mercy of Prussia, which annexed one of its ports of Slesvig in 1864, but returned it to Denmark in 1919. The parliament refused to vote for other constructions than that included in a modest plan for the modernization of its coastal units. 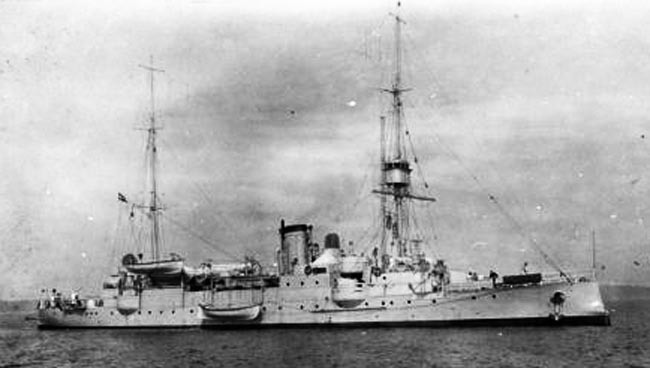 Prewar armored cruiser Heimdal (1894). She was discarded in 1930. The interwar: A Modest construction program. In 1933, while Germany became more menacing with the advent of the Third Reich, Denmark did not change its naval policy and a small number of coastal torpedo boats and submersibles were built. The “cruiser” Niels Juel, completed in 1922, was modernized in 1933 but could not really claim the title of “cruiser” because of its tonnage and speed, making it more a conventional coastal defense ship. Besides, apart from a few high-seas torpedo boats, Denmark did not have a single destroyer or oceanic submarine. This pure coastal defence force was completed by civilian-converted guard patrol ships, in addition, enforcing shipping areas. 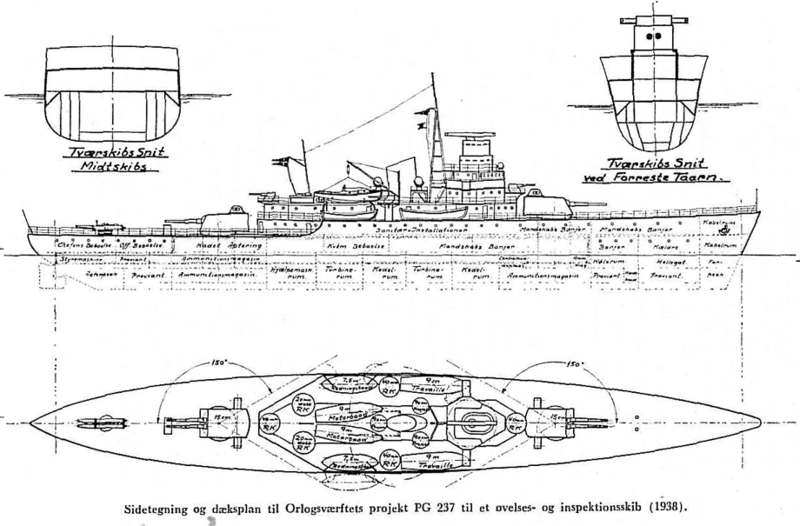 Danish capital ship project, 1938, notice the ASW bulges. 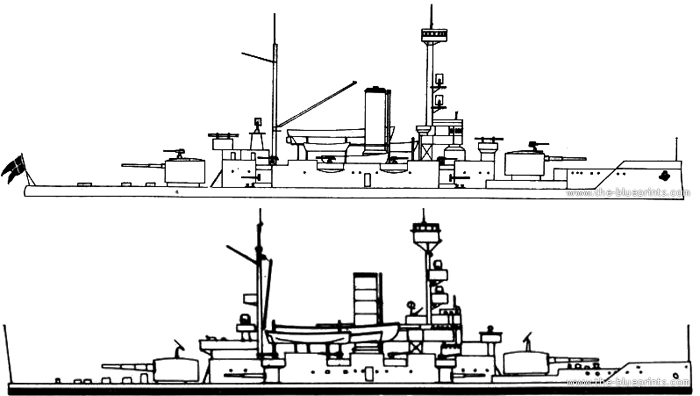 A whole chapter would be necessary but here are three known designs of ships, one cruiser and two coastal battleships in replacement of the older units of the pre-ww1 Peder Skram generation. Initiated in 1936-38 they were dropped because of budget constraints and the opposition of the Politicians. In 1939 this modest force included 104 ships, mostly small patrol boats as seen further. 31 May 1939, Denmark and Germany signed a treaty of non-aggression, all but symbolic and in April 1940, Germany pretexted the intended laying of mines in Norwegian and Danish waters to launch Operation Weserubung. The Danish navy (as the rest of the military forces) has been given little credit or priority for the politicians, and even so from 1929. This was the responsibility of Thorvald Stauning which headed the government until he passed away in 1942. At that time, this fierce neutrality started to be shattered. 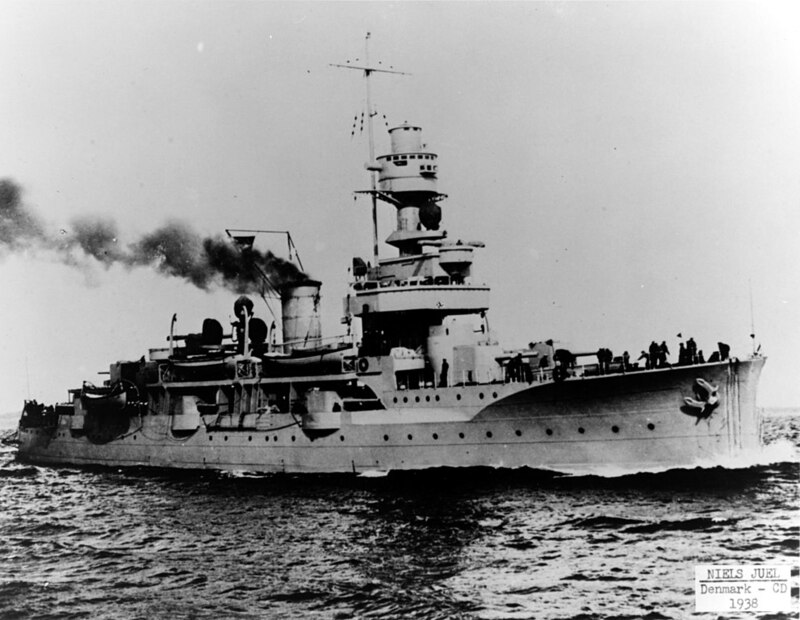 During the first year of the German occupation indeed, the Navy was forced to assist German forces with minesweeping. The main reason was pragmatism on both sides, because of the need to keep the ferry-lines running and seaways clear to Sweden and Norway. However in 1941, Denmark also was forced to transfer six torpedo boats to Germany. They will serve with German crews. Tensions rose slowly, up to the summer of 1943. The occupation indeed did not prevent a resistance movement from growing, notably because of the Jewish policy, culminating in 1943 when the Danish authorities refused to surrender patriots to the Gestapo. 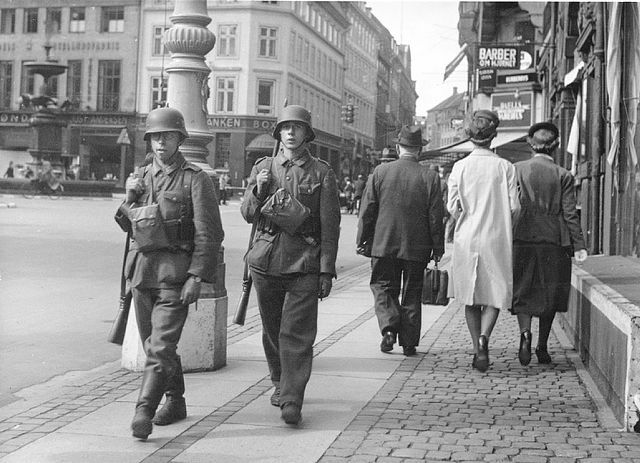 Meanwhile, some Danes were willing to join the axis, including sailors, and the government instructed the navy (as the army) not to obstruct applications from soldiers wishing to leave active duty and join the newly created free corps (SS-created Frikorps Danmark intended to serve on the eastern front), all in the spirit of the government’s samarbejdspolitik (“cooperation policy”). Indeed 77 officers will do so. But the Danish protectorate government lasted until 29 August 1943, resigned, and martial law was declared, followed by swift actions by the occupation forces. Indeed the very same day, Germany declared war on Denmark on its former protectorate. On August 29, 1943, the German occupation authorities decided in retaliation to disarm the Danish forces (called Operation Safari), seizing the entire fleet at the same time they attacked 19 bases and garrisons (Kaserne). The latter, however, was prepared, and acted promptly and resolutely, just like in November 1942 at Toulon. For the anecdote, outside the Vice-admiral the other instrumental Dane in the success of this counter-operation was the sentry guarding the bridge to the Holmen base. He indeed conveniently lost the handle that lowered the bridge, and doing so, prevented the 500 German soldiers to enter long enough for 32 ships to be sunk: The whole fleet present at the arsenalen of Copenhague and many auxiliaries were scuttled in the matter of an hour. Indeed the Danes managed to scuttle 32 of the larger ships while Germany later seized 14. 50 smaller ships and boats were also disabled by secret order, given directly to the captains by word of mouth by Vice Admiral A. H. Vedel. 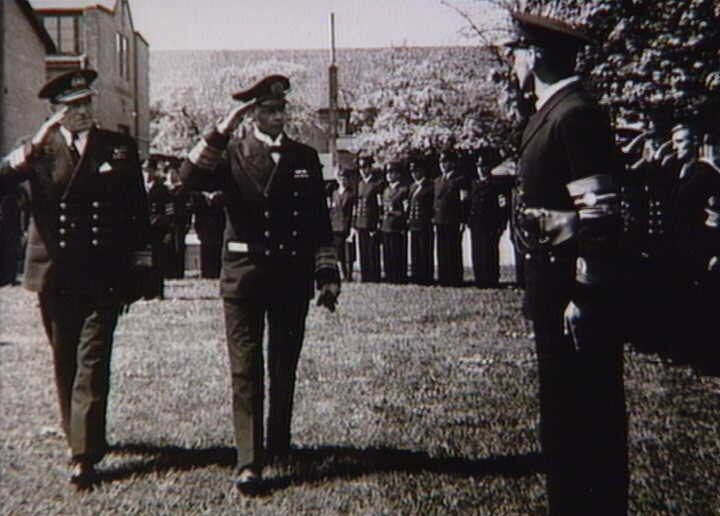 Vice-Admiral Vedel and British admiral Holt reviewing sailors of the “free Danish flotilla” in 1944. After being detained and forced out of the government, he would eventually return to it, also organizing the Danish resistance and co-ordinating transfer of arms from Sweden until the end of the war. The order also precise the ships that could, must “try to flee to the nearest neutral or nazi-opposed port. If that was not possible, be scuttled at as deep a location as possible”. Because of this heroic act, in September 1943, he was fired by order of the prime minister Vilhelm Buhl, under German pressure. During the operation 4,600 Danish personnel were captured, while some escaped later and between 23 and 26 KIA, about 40-50 injured while the Germans suffered perhaps 11 dead and about 50 wounded according to modern historians. Peder Skram, sunk in the arsenal of Copenhague, August 1943. 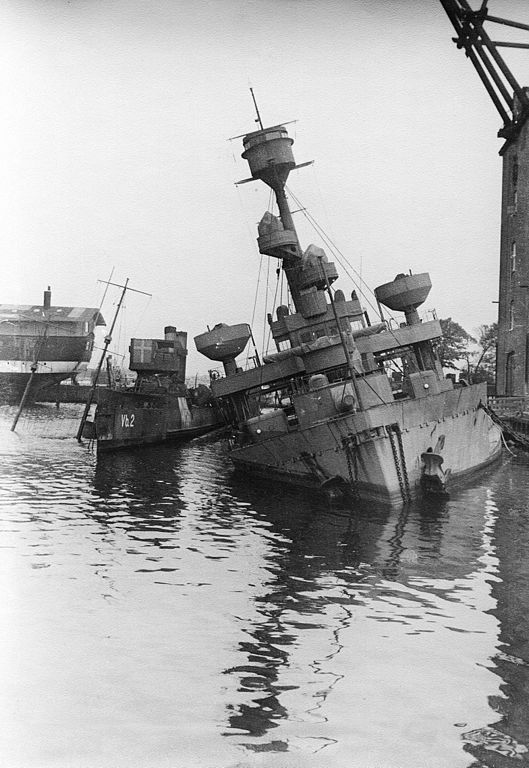 In addition, the Germans managed to raise and repair 15 of the sunken ships. In all, 13 ships managed to flee to Sweden. They were interned there until the end of the war. However some were captured and integrated into the Kriegsmarine but this strength represented four minesweepers (Class Söbjörnen), and 10 light MS. The fleet flagship, Niels Juel being a too precious unit to left any chance for falling into German hands, attempted to break out of the arsenalen. A coastal Battle ensured of Isefjord (see later). However but the crew was forced to beach her, and tried to scuttle her. Among the ships that fled, two large warships ended in Greenland, and among patrol boats and ships, nine “patruljekuttere” (patrol cutters) reached Sweden. 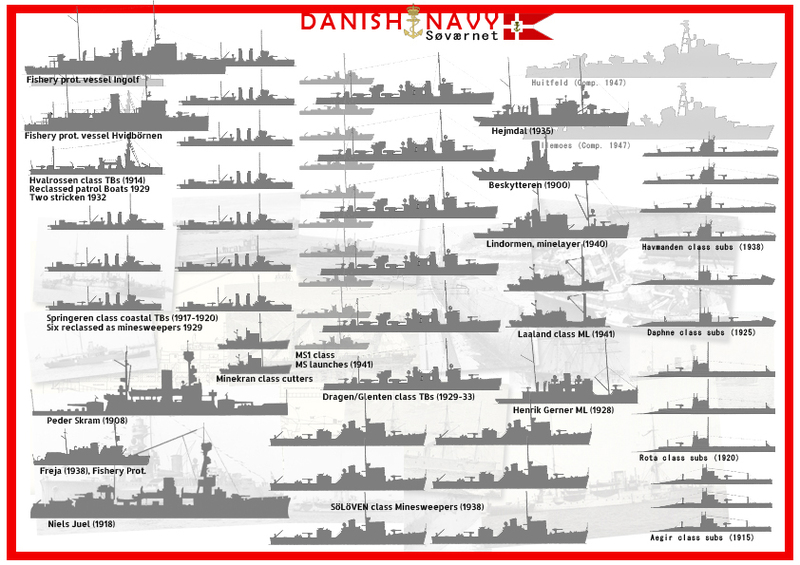 By the autumn of 1944, this modest force became the Danish naval flotilla in exile. An other view of the Peder Skram sunk in the harbour (photo by Holmen Dato, 29 August). 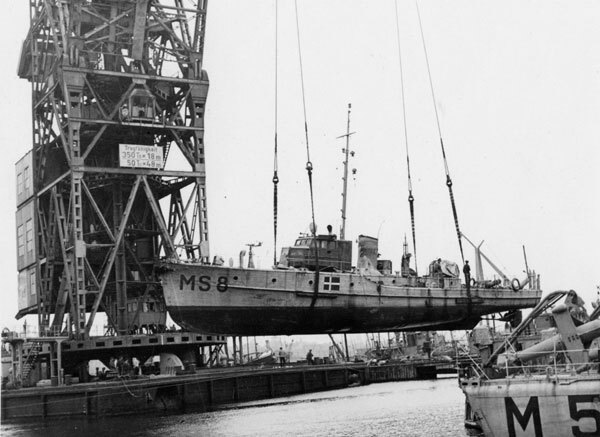 The Germans later attempted to salvage dozens of ships and succeeded for those in the harbor’s shallow waters, no too damaged, like this MS8 minesweeper. On 28 August Germany issued an ultimatum requiring the suspension of most civil liberties and allowing the takeover into affairs concerning resistance. The government flatly refused, resigned, which gave the Germans a pretext to institute martial law and launch operation Safari. What happened at Isefjord was an immediate consequence of these events, barely a “naval battle” to our Leyte-Midway standards but still it opposed, the very day of the scuttling, the best and most modern Danish Capital ship, Niels Juel, with the Germans there, decided she would not make it. She was indeed attacked by one mine warfare vessel, two torpedo boats, but mostly Stukas. The best ship of the of Danish Navy, HDMS Niels Juel was used as flagship and royal yacht in many occasions. She was a bit light for a cruiser at 3800 tons, but armed with ten 6-in guns and protected by an armour to match this caliber, which was enough to dissuade any enemy cruiser. Speed has been sacrificed in the design. She spent the summer of 1943 on a training cruise in the Isefjord, the only place allowed by Germany for Denmark to operate freely but on 27 August she received an alert to be prepared to deceive the Germans. Commander Carl Westermann held a meeting and decided the sailors would remain aboard and the ship prepared to depart quickly. HDMS Niels Juel – Janes. On this fateful August 29 she was anchored in Holbæk, and at 04:10 and 04:20 she knew something serious had happened in Stockholm. She was placed in high alert, under General alarm, bring to battle readiness. This activity was spotted by German reconnaissance, and after one hour and a half, the cruiser left the harbour en entered the fjord. She headed north at 15 knots (full speed), and South of Lynæs Sand she spotted the weak German fleet there, comprising only two TBs and a minesweeper. The captain soon received an order from the Danish command under German gunpoint forcing them to halt and wait for further orders, while the Luftwaffe arrived and Stuks began to circle the ship, waiting orders on their side too. The scene was set for a bloody battle. Eventually the German command at Hundested ordered the Luftwaffe to attack. HDMS Niels Juel was ill-prepared, with just two vintage 57 mm (2.2 in) AA guns to hold off the attack. The 6-in guns were not designed to fire over a certain angle as well. At 08:55, two bombs near-missed off the starboard side. At that point, Commander Westermann thought this was just a warning and did not ordered to fire back. But while the ship turned south a strafing attack took place, this time leaving some injured, and the ship fired, hitting the Stuka’s wing. An officer then pleaded to open fire with the main guns on the German ships, which was denied, while the anti-aircraft artillery crews were ordered out and to take refuge below the deck. However, he changed his mind at 09:35 when the Stukas made another pass, which was an offensive one. The crews went back to open fire, apparently downing one Stuka, and there were two new near-misses. One however sprayed shrapnel up towards the anti-aircraft gunners, leaving many wounded while the ship’s electricity and fire control systems were disabled. This left few options to the captain, and he ordered the ship to be beached south of Nykøbing Sjælland, releasing the valves to scuttle her, after ordering crucial supplies and equipment to be thrown overboard or destroyed. The following day, two German TBs captured the ship, landing Wehrmacht soldier on the deck, hitting the naval ensign, and took the captain at gunpoint, under charges of sabotage. The ship would be raised later, renamed Nordland, but was never back into service and was scuttled a second time in 1945. HDMS Havkatten in Copenhague, May 1945. The Den Danske Flotille of Danish Flotilla was formed with ships of the Danish Royal Navy that had escaped to Sweden and were at first interned, in conformity to neutrality application laws. There is not much to say about it, as information is quite squarce (but in Danish): 13 of the fleet’s vessels that succeeded in escaping to neutral Sweden would know there a very tumultuous existence. They will wait for the next year for the establishment of the Danish Flotilla, in September 1944. The Motorboat FANDANGO was illegally brought to Sweden in addition, and the flotilla was deployment to Karlskrona Örlogsststation. The crews were well received and the head of the South Coast Marine District, Rear Admiral Gösta Count Ehrens-host, took the decision these Danish vessels would officially stay in Karlskrona as an extended “fleet visit”, allowing their crews to not be detained. By agreement, the vessels were to be discharged at the end of the 14-day “visit” and crews were granted leave, becoming civilians. A small supervisory force under the HAVKATTEN chief, Captain Lieutenant P. Würtz, assisted by the ship’s engineer officer, under-engineer G. Kierkegaard to enforce this on September, 14. At the end of 1943, the Swedish at last government gave a favorable consent to the establishment of a Danish corps in Sweden intended for action in Denmark in case of a German military conspiracy. On the naval side, Swedish Commander Captain F. H. Kjølsen acted as head of the Marine Department to ensure the flotilla would play a role in this. The first priority was to retrain the crews, and at the camp “Sofielund” in Småland started operations in early February 1944. It was followed by an additional 3 camps at Sätrabrunn and Hätunaholm near Stockholm, and Ronneby in Blekinge. In the spring of 1944, it was decided the Danish naval vessels’ crews would have their final training in Sätrabrunn camp. This staff was organized as the company “Karlskrona force”, headed by captain Lieutenant E.T. Sølling. This included both maritime subjects and foot training. During the summer of 1944 the vessels underwent thorough examination to be pressed into active service again. The newly retrained Danish force was to be regarded as a police unit, but in reality a purely military Danish Brigade. Command of the Karlskrona flotilla was then entrusted to Major General K. Knudtzon, which was previously sent to Sweden in November 1943, establishing his headquarters in Stockholm. On September 22, 1944, the Danish Flotilla was under command of navy captain Jegstrup later sent on a special mission to England, and replaced by Lt. Sølling, temporarily appointed. He organized the delivery of various equipment to strengthen the flotilla’s combat power. The torpedo boats had their armament reinforced with a 40 mm air gun, while unarmed cutters were given a machine gun. The Havkatten was camouflaged, like other vessels. All units received smoke dischargers, minelaying equipment purchased and de-magnetisation apparatus installed, with associated cables. By then the authorities greenlighted a serie of exercizes at sea, within a designated archipelago area, and provided fuel. Danish troop from the camp at Ronneby participated in the rehearsal of landing operations, using light boats made available to the brigade, intended for crossing lakes and rivers. They can carry about 8 men but seaworthiness was limited, but they proved useful in coastal waters. Naval personnel were also provided with small arms. The flotilla use of planks to connect excess boats and convert them into improvized catamaran carring a 37 mm cannon with crew for landing fire support. Later a personnel reserve was designated, able to manage loading and unloading of troops and providing signal service, transferred from the brigade’s land forces to the flotilla. The flotilla was later organized into a marine command consisting of a sea transport section and a base strength and an agreement was reached on the designation of eight support passenger and cargo ships, acquired by the brigade for upcoming operations and resold to the owners after the war, but at that point, the ships were no longer needed. Meanwhile Commander F.C. Bangsbøll organized illegal transport in the Sund area, which, dealing with the transfer of personnel and weapons between Denmark and Sweden. Vessels would then made available as auxiliary pilots ad alert picket boats. Half a dozen shoals were mobilized, as well as 20-25 fishing boats and motor boats during these operations. During all this time, two more ships successfully escaped to Sweden and would later join the flotilla, DSB’s icebreakers MJØLNER and HOLGER DANSKE, and the ferry steamer STOREBÆLT. The latter was used for logistics. They were followed by Lighthouse ships ARGUS and LØVENØRN, pilot boat SKAGEN, which also joined the brigade. On 9 April 1945, the company Em.Z. Svitzer’s Bjergnings under naval captain H. Kiær managed to bring in Sweden 15 additional towing and salvage vessels, two lifting pontoons and one lifter plus the freighter SS RØSNÆS. This bring sea transport capacity to new levels. In April 1945, with the end of the war in sight, the brigade was put into readiness and concentrated off Häckeberga, 30 km east of Malmö. Named DANFORCE, it was integrated within the Allied forces and the English Major General Dewing of the SHAEF attended briefings at the forces as the liaison officer. 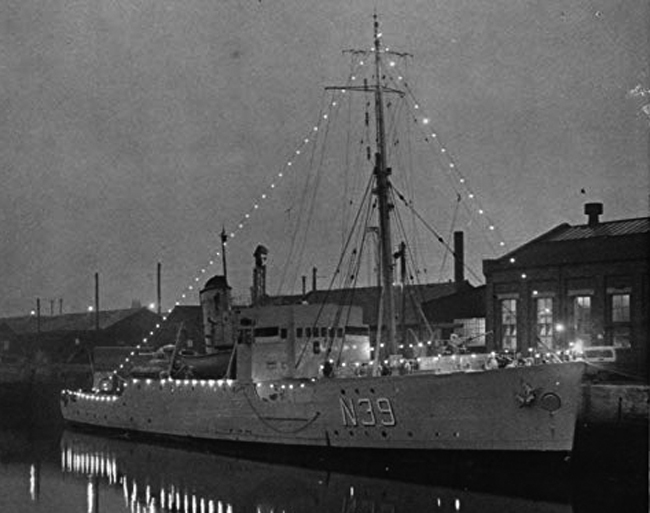 The flotilla resumed preparations and during the night between 30 April and 1 May departed from Karlskrona and reached called Malmö on the 1st of may, joining force with HDMS MJØLNER and HOLGER DANSKE, plus the Relief and Svitzer flotilla. General Knudtzon established an advanced headquarters in Malmö, in coordination with the Swedish naval staff and local authorities. Alternative plans were made for the operation on Danish soil, but it became clear the German collapse was imminent. 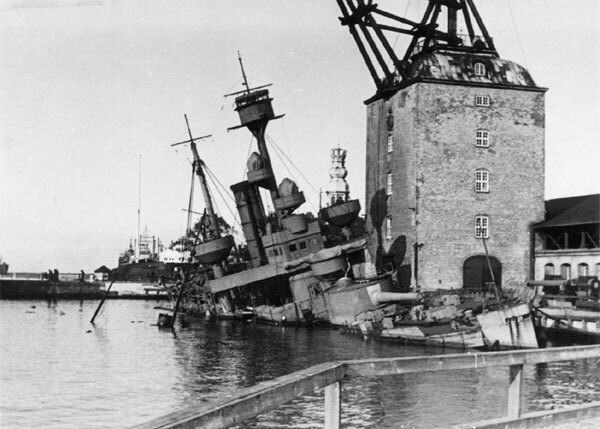 On May 4, the BBC’s announced the capitulation of the German forces and the flotilla ships departed for Denmark and handled the Danish Brigade and its equipment from Helsingborg to Helsingør the following day. The Danes has once a serie of coastal monitors in the 1860-70s, Rolf Krake, Lindormen, Gorm, Odin, Helgoland, and the WW1-era HDMS Iver Hvitfeldt (1886), Skjold (1896) and the Herluf Troll class (1899) which initially comprised three ships, with the Olfert Fischer and Peder Skram. 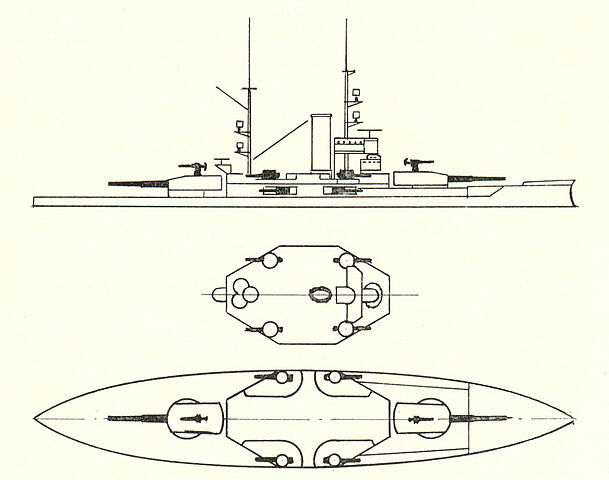 However the latter was launched on a modified design in 1908 and was the only one still active in 1939. All five protected cruisers of the Danish Navy (Fyen, Valkyrien, Hekla, Gejser and Heimdal) were no longer active. Fyen (1882) was stricken in 1907 and a barrack ship for almost sixty years, Valkyrien (1888) was stricken in 1923, Heimdal in 1930, Geiser in 1928 and Hekla in 1913 but not scrapped until 1930. The HDMS Peder Skram was the only Danish “capital ship” to be active in both wars and the Niels Juel basically a new protected cruiser in the long tradition started in 1882, completed too late to take part in the war. Series of submarines and Torpedo-Boats were for some, also active in both wars. The HDMS Peder Skram was the third modified sister-ship of the Herluf Trolle class (3700 tons, 1899 and 1903). Both ships were stricken in 1932 and 1936. Olfert Fischer served as a target ship both for the air force and naval air force bombers. For several days she cruised the Faxte Bug in October 1936, with a skeleton crew on board which cared for the small engine necessary to move her at 9 knots. The Danish bombers poured on her some 386 small bombs but only scored 12 hits, which did not sink her. In fact the bombs were only 12 kgs models. For some observers in Denmark, this proved that aviation was not a serious threat for ships. HDMS Peder Skram was designed ten years after the lead ship Herluf Trolle. At first she looked similar, with a 3730 displacement, 87m in length for 15.7 in width, and a 5 m draught, but very low freeboard, as should be any monitor. Her designation in naval identification books of the time was “coastal battleship” which indeed was perhaps more appropriate. 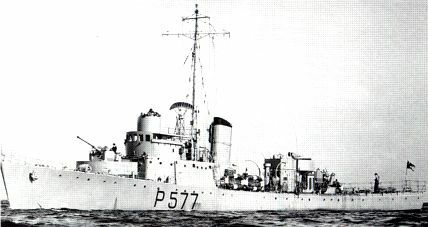 Monitors in addition to a very low freeboard were often only given a single main turret. The Peder Skram looked more like contemporary Swedish and Norwegian equivalents, with a full armament and advanced fire systems to match. Her main armament was of armoured cruiser size: 240 mm (9.4 in)/43 guns, completed by four 150 mm/50 (6 in), ten 75 mm/55 guns and two quick-firing 37mm/38 Bofors dual-purpose guns, plus four 457 mm (18in) torpedo tubes, one in the bow and another in the stern plus two on the beam. Peder Skram had her light armament changed many times. At first, the 75 mm were replaced by 57 mm guns, and later they were in turn removed for fewer more modern 75 mm AA guns completed by a few Bofors 40 mm AA and some 20 mm in 1935. By 1939 she received a complement of four 40 mm Bofors guns. Meanwhile she has her superstructure entirely rebuilt, looking indeed more like a small battleship than a monitor, and modernized fire control system plus double bridge (with the admiral bridge). In 1940, when operation Weserubung started she was mobilized, but did not take action as the German invasion was too quick. She was kept semi-active in the Danish fleet while under Geran supervision as an harbour defence ship, when in Augsut 1943 she was scuttled according to orders. Purges were just open to let water to gush in and the ship sank, listing on the side of the pier, listing badly. She was eventually refloated by he Germans, but due to her age she was kept as a floating hulk for a time. Instead she was stripped of all her armament. Turrets were sent to Fäno battery, however after some time it was decided by German authorities to convert her as a movable AA platform, and she was eventually rebuilt as a FLAK-ship and training vessel under the new name of KMS Adler. However she sailed to Kiel-Friedrichsort for this reconstruction when she was caught by allied bombers in April 1945 and sunk. She was salvaged later, brought back to Copenhague, and after three years spent as a wreck, resold to be broken up at Odense, in 1949. Evolution of the Peder Skram, in 1910 and 1940 afetr reconstruction. Machinery: 2 shafts VTE; 2 Thornycroft boilers, 5400 ihp and 16 knots. Coal, 245 tons. Armour protection: Belt 155-195 m, turret faces 190mm, sides 175mm, barbettes 185 mm, casemate 140mm, decks 45-65mm, conning tower 190mm. 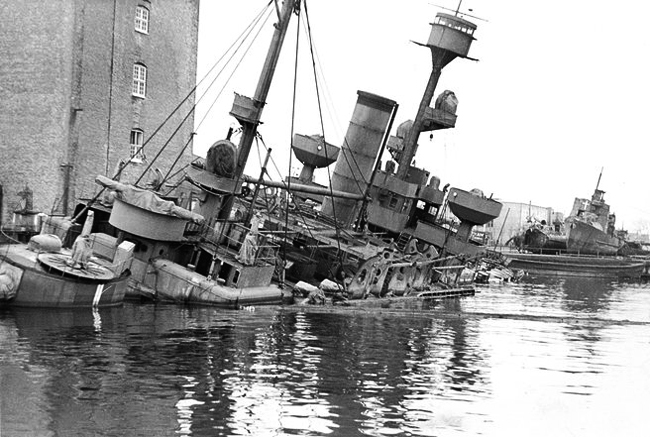 Rear view of the stern, as sunk in August 1943 in the Royal Arsenal. 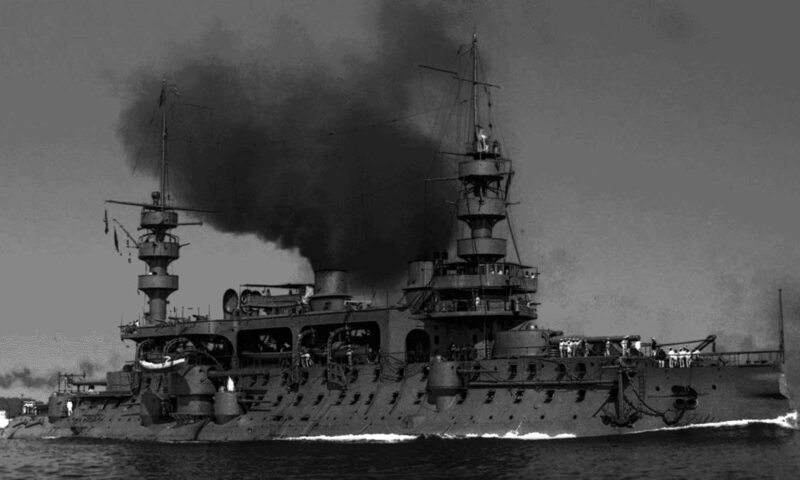 Part coastal battleship, part cruiser, the HDMS Niels Iuel was laid down in September 1914. 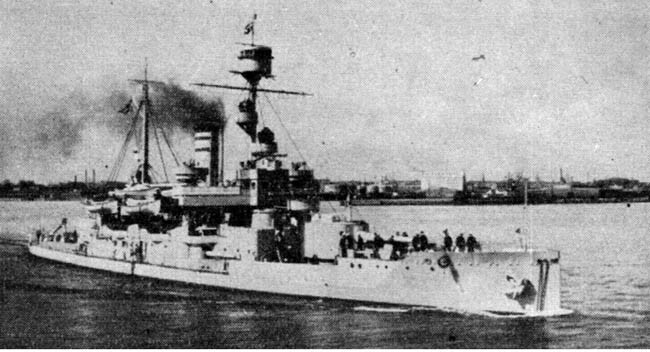 Sightly larger than Peder Skram, she featured a more modern propulsion with mixed coal/oil boilers, and a heavier armament of two 12-inch guns (at least in the initial design), and most importantly, a taller hull, fit for the high seas, rather than the low freeboard of the previous ships. The Krupp guns however, were seized by the German army as railroad artillery at the outbreak of war. Therefore construction resumed slowly, Copenhagen navy yard already busy trying to maintain the fleet fit for extensive on neutrality patrol. After the war ended, the Allies forbade Krupp to honor the contract. Niels Juel first 1918 design, with two 305 mm guns (12-in). 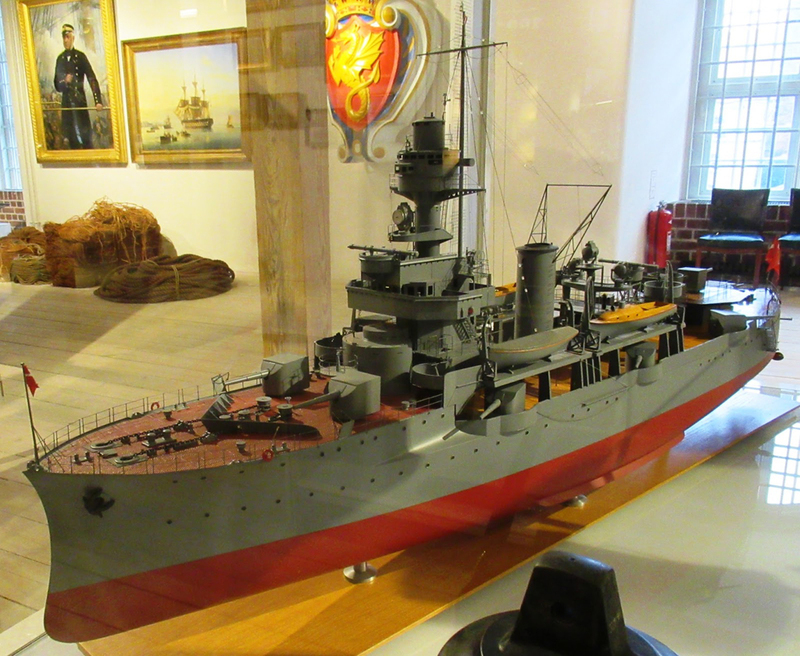 The Danish politicians estimated, however, the ship armed with heavy guns should look provocative, and instead purchased ten 150mm (5.9-inch) guns from Bofors in Sweden, while the design was changed to a more innocuous training vessel, hence the taller hull. These main guns were shielded and placed on either side of the ship forward and in a superfiring pair aft and on three on each broadside amidships, making the ship even closer to a traditional cruiser. At first procurement was difficult and proposals from France, UK and Sweden manufacturers were all rejected until an agreement was found with Bofors. The secondary armament of 120 mm (4.7 in guns) came from 1917 reports from naval battles such as Jutland. A pair of 57 mm (2.2 in) A.B.K. L/30 anti-aircraft guns completed the armament, mounted abaft the funnel. Lastly, she also had submerged 18 in (457 mm) torpedo tubes firing type H torpedo fitted with a 121.5-kg (268 lb) warhead, hitting their mark up to 8,000 meters at 27 knots. 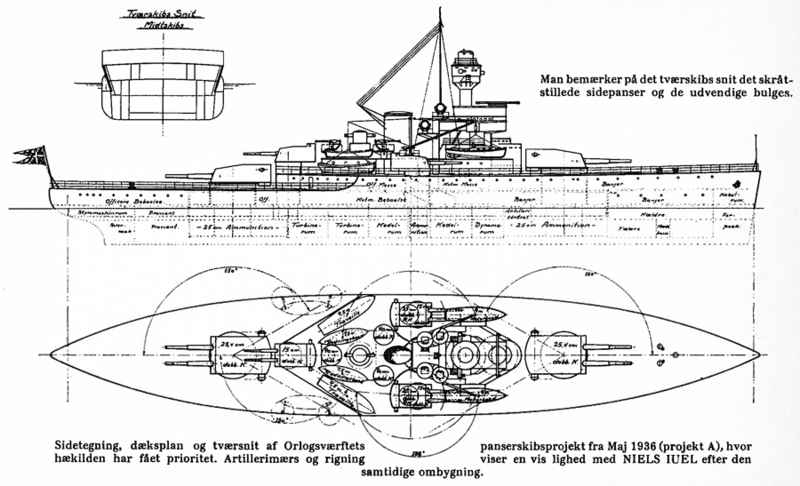 However, design-wise she was closer to the traditional armoured cruisers Danemark had until that point. Two points has been privileged in the design, armament and protection, to the detriment of speed. Indeed, the small and wide ship was only fast enough to reach the speed of most pre-dreadnoughts, about 15 knots, which fit her coastal duty. The new design was approved in 1920 and the ship was completed in its definitive form in 1923. Short (90 m) for a 16.3 m width, almost 1/5 ratio, her hull was divided into 10 watertight compartments and fitted with a double bottom for extra ASW protection, another adjustment inherited from WW1 lessons. She was protected by Krupp cemented armor made by Bethlehem Steel, about 195 mm (7.7 in) on the belt, down to 150 mm, with 175-165 mm transverse bulkheads to close the citadel. The shields ranged from 10 to 50 mm and the deck was 55 mm thick while the conning tower was 170 mm. The pair of vertical triple-expansion steam engines were fed by the heat provided from four Yarrow boilers with superheaters, two pairs on oil, the second on coal. The 6,000 indicated horsepower (4,500 kW) allowed only 14.5 knots (26.9 km/h; 16.7 mph), but on trials, Nield Juel was able to reach 16 knots. 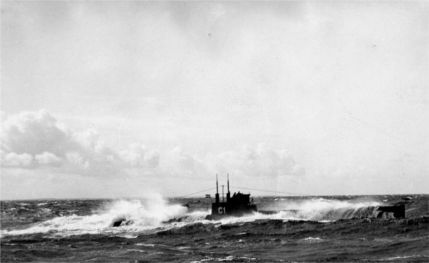 The 6,000 nautical miles (11,000 km; 6,900 mi) range at 9 knots allowed a generous patrol around the entire coastal area and back. Her first operational cruiser started in May 1923. She made numerous visits and later state visits as Royal Yacht, carrying the Royal family. In this role she toured the Mediterranean in 1929. At the same time she received modifications: The three-meter rangefinders were transferred older ships like the Peder Skram and Olfert Fischer while she received a modern Barr & Stroud 3.66 m coincidence rangefinder, replaced a year later by a German Zeiss 5 m coincidence rangefinder. She was modernized in 1935-1936, and the fire-control systems were changed again, with the tripod mast replaced by a pole mast, two-stage director-control tower. 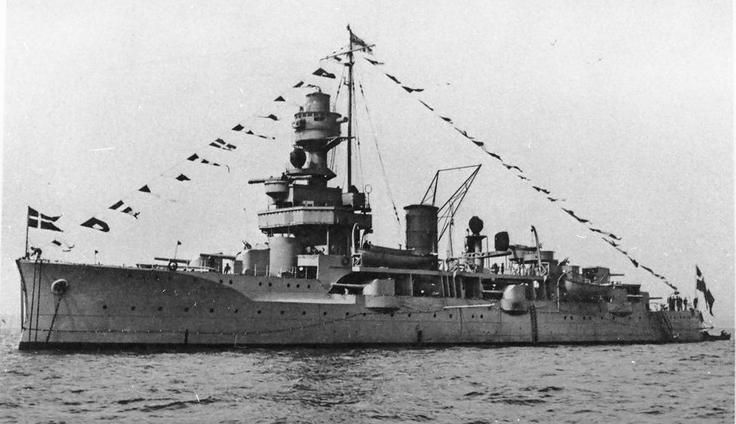 She received then a Dutch Hazemeyer gunnery director and analog gunnery computer with three Zeiss 6 m rangefinders while the 57 mm AA guns were replaced by 10 Madsen 20 mm RK M/31 autocannon in five twin mounts. Smoke screen projectors were fitted at the stern. She would also received in 1937 seven twin 8 mm (0.3 in) Madsen R.K. L/75 M/37 machine guns mounts. In early 1941 she received an extra pair of 40 mm Bofors AA guns (single) and in 1942 10 faster-firing Madsen 20-millimeter L/60 M/41 autocannons were fitted in place of the older models. For her career, see above (Battle of Isefjord). 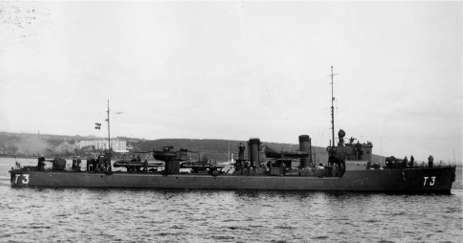 The torpedo boat Najaden, lead ship of the free Danish flotilla, in 1944. The Danes Coastal defence policy favored both the Torpedo Boats and submarines, and numerous classes has been services over the years. At the eve of WW1, no less than thirteen classes of these boats were in service, but far less at the eve of WW2. Among the classes discarded during the late interwar were the HAVØRNEN 1st class (1897), SØRIDDEREN class (1911), TUMLEREN class (1911), the HDMS Ormen (1907). In WW2, four classes were in service (of which only one was of the ww1 era) and one more in construction. The latter had more to do with the German torpedo boats, almost 80 m in size and nearly 1000 tons, a radical departure over previous designs. Three boats, the Hvalrossen, Delfinen and Sværdfisken. 169/182 tons, 45.5 m, 3500 hp for 26.5 knots, armed with a 75/52 M07, one 8/80, three 450 TTs (1 bow, 1×2 center). All three reclassed as patrol boats in 1929. Two were discarded in 1932. Initially ten boats, but during the interwar six were converted into minesweepers in 1929, and half stricken in 1940. The four others were fully operational as coastal TBs. 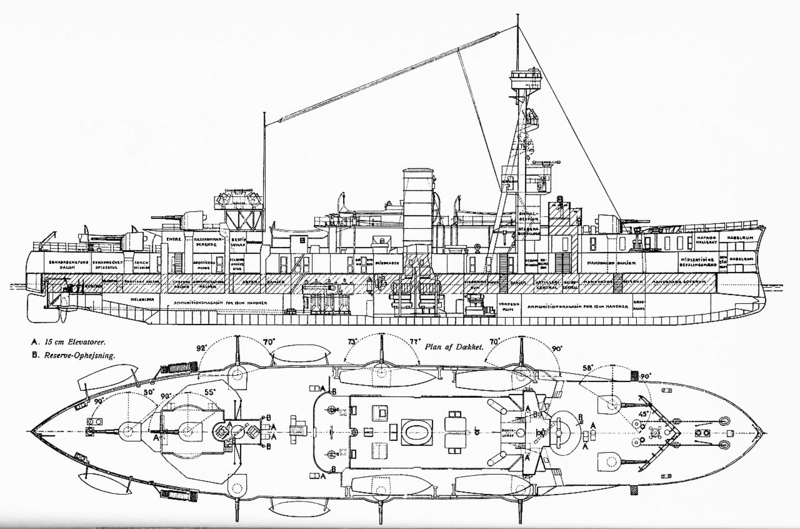 They were small at 93/102 tons, 38.5 m long, 2000 hp for 24.6 knots, armed with a 57/40 M.1885, and a single bow 450 mm TT. Four were scuttled in 1943, three captured and reused by the Germans. 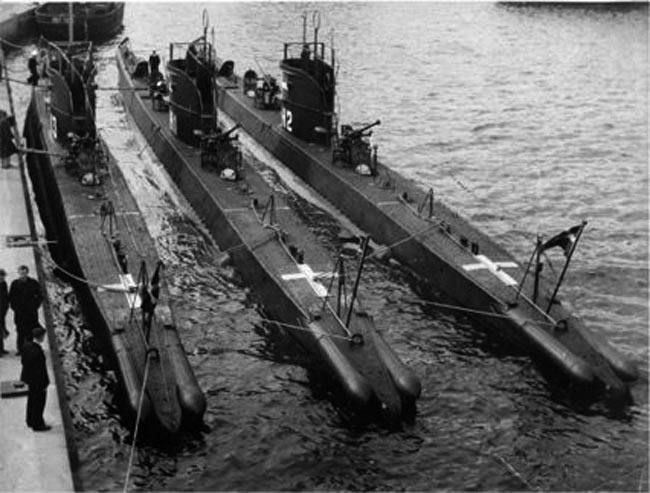 Three boats, built at Orlogsværftets, Copenhague, these were modern, new generation torpedo boats with extended range, speed and armament. 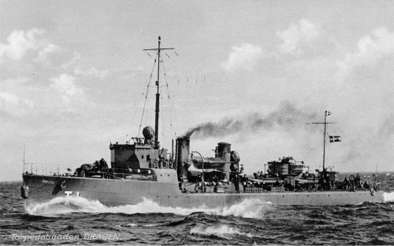 HDMS Dragen, Hvalen and Laxen were 290/335 tons, 61m long ships propelled by geared (Brown-Boveri) or Atlas steam turbines (Laxen), oil fired Thornycroft boilers, rated for 6000 hp and procuring a top speed of 27.5 knots. They were armed with a single 75/38 M29, two 8/80 mm MGs, an two triple banks with 450 TTs and were manned by a crew of 46. In 1932 they received each 20 mm/56 Madsen AA guns. The Danish admiralty was granted an upgrade to 533 mm torpedoes only by 1939. But these boats were quite an improvement. They punched even above their weight. After the capitulation in April, 1940 all three were laid up into reserve and disarmed but later transferred to the Kriegsmarine in “leasing” as torpedo retrievers. In 1942 they were renamed TFA3, TFA5 and TFA6, one was lost on a mine in 1945 and the two others were badly damaged by an accidental explosion and never repaired. The second group (Glenten, Høgen and Ørnen) were delivered in 1933-34 at Orlogsværftets with a slightly modified design (but they were externally identical). After the capitulation of Denmark they were laid up into reserve and disarmed but later transferred in leasing on 5/4/1941 to the Kriegsmarine as torpedo retrievers, TFA1, TFA2 and TFA4 in 1942. All three were badly damaged on 14/6/1945 in Flensburg-fjord because of the accidental explosion of the ammo transport KMS Donau and never repaired. Two ships which were a massive improvement over the previous classes, more in line with contemporary German torpedo boats. They were laid down at Orlogsværftets in mid-1942 although the project was already approved by the Admiralty in 1939. The construction was authorized by the Germans in the hope they could later bolster the Kriegsmarine. Indeed after August 1943 breakdown, the Germans seized them, and the Huitfeldt and Villemoes became in German service the Nymfen and Najaden, however, construction stalled and stopped completely. It was in between decided by the Germans authorities that the initial 533 mm torpedo tubes would be locally replaced temporarily by the 450mm banks previously removed from the Dragen class. In May 1945 they were captured intact, with barely any work done since 1943. They were completed by the Danese with some modifications and launched in 1947. At that time, the design was revised with two 105/42 KM40 guns, two 40/60 Bofors M36 AA, six 20 mm/60 Madsen M41 AA, and two triple banks of 450 mm TT, 2 DCT, and 60 mines. The design was revised once more in 1951, they received the intended two triple 533 mm TT banks, 2 DCT, and 2 DCR plus navigational radar. In 1958 they were reclassed as patrol boats and discarded in 1966. These ships displaced 782 long tons up to 890 long tons (900 t) fully loaded, 86.3 m (283 ft) long overall by 8.33 m (27 ft 4 in) and 3.51 m (11 ft 6 in) in draught, and were propelled by Geared steam turbines rated for 16,000 kW (21,000 shp), enabling them to reach 35 knots (65 km/h; 40 mph). Crew was 92. 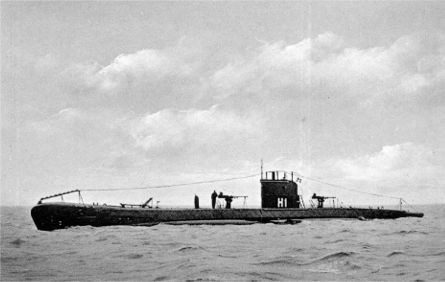 The first Danish submersible was HDMS Dykkeren in 1909. Followed the prewar class Havmanden (6 boats, 1911-12) all discarded in 1928-32, while the ÆGIR (1915), ROTA (1920) and DAPHNE (1926) were all active in 1939. New constructions cut short by wartime were the HAVMANDEN class, for some completed in 1942. Rota, bellona and Flora built on the same place and docks, but on a local, revised design, these were pet projects of the Danish Admiralty, based of American Holland type boats. Original TT arrangement was the same as previously, with three tubes in the bow, one in the stern, launching a torpedo at an angle upwards and a deck TT this time in front of the kiosk. It was removed from Rota, while the sister-ships never received it. They were larger, displacing 301/369 tons, were 47.5m long and were propelled by two Burmeister & Wain diesels and two Titan electric motors, for a combined power of 900/640 hp and an excellent submerged speed at 10.5 knots (14.5 surfaced). They carried a 57/40 M.1885 AA gun, and were in service in 29/08/1943, when all three were scuttled at Copenhagen. Daphne and Drayden were the next generations of Danish coastal submarines, with a redesigned hull and more conventional armament arrangement. They displaced 308/381 tons, for 49m long overall, and were propelled by the same arrangement of two Burmeister & Wain diesels and 2 smaller Titan electric motors for 900/400 hp, 13.4 knots surfaced but only 6.4 submerged. Armament comprised a single deck 75 mm/32 M24 gun, a single 20 mm/56 Madsen AA gun, and six 450 TT (4 bow, 2 stern). Both were scuttled in August 1943. 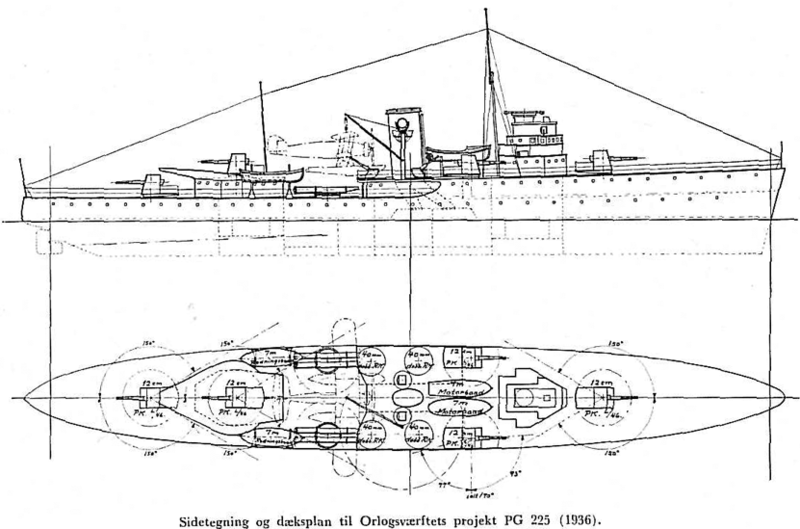 The last prewar Danish submarines, they were still small coastal units, four of them, the Havmanden, Havfruen, Havkalen and Havhesten, improved versions of the previous Daphne, displacing 335/407 tons, 47.5m long, propelled by the same arrangement as previously but much more power at 1200/450 hp (Brown-Boveri electric motors) for 15.3/7.2 knots top speed. They were armed by two 40/60 Bofors M36 decks guns (Havhesten 1), and two 8 mm/80 MGs, plus five 450 mm TTs (3 bow, 2 stern). 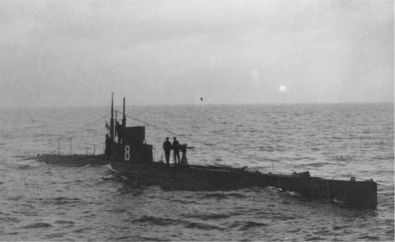 This was a Danish Admiralty project initially of six boat, but the building of the fifth submarine was canceled while the fourth was completed in September 1942 (the first three in 1939). All three were scuttled in 1943, salvaged and returned into service in 1946, stricken in 1950. A 463 tons minelayer/Submarine Depot ship armed with a single 75 mm/52 M.12 and 80 mines. She was propelled by two diesels for a total of 900 hp and 13.2 knots. Scuttled in 1943 at Holmen to avoid capture, she was refloated and started a new career with the Kriegsmarine as Prenzlau. She ended her career with the East German Navy during the cold war. A single, 614 tons ship launched in 1940, scuttled in 1943 and later refloated by the Germans, used as V1601. She was retroceded and served until 1969. She was 53 x 8 x 2.40 m, propelled by two VTE engines fed by two Thornycroft boilers, rated for 1000 hp, and 14 knots. She was armed with a single 75 mm gun on the forecastle, and three 20 mm guns AA on the rear superstructure, after the main island. She could carry and laid 150 mines. Two ships built and launched in 1917 and 1918, in service during both wars. They were 186 tons, 27 m long and propelled by two Bergsund surface-ignition heavy-oil motors and 2 electric motors for a combined power of 290 hp, able to reach 8 knots. They were armed a single 37mm/38 Bofors and could lay 60 mines. Both were scuttled in 1943, salvaged and reused by the Germans, scuttled again in 1945, then served with the East German Navy as Fürstenberg and Prenzlau until the 1970s. Laaland and Lougen were launched at Copenhague in 1941, 350 tons, 34 x 6.6 x 2 m ships armed with two 20 mm AA guns and capable of 10 knots. Both were scuttled in 1943, salvaged by the Germans and retroceded in 145. They were still active in 1974. Six minesweepers built at Copenhague, 270/304 ton ships 54 x 6.3 x 2 m in size, propelled by a single Atlas Geared turbine fed by a Thornycroft boiler, 2200 hp for 18 knots and 30 ton of oil in reserve. They were armed with two 75 mm guns, two 20 mm AA and two twin 8 mm AA MGs. All were scuttled in August 1943, renamed by then MA-1-MA6. Refloated, four served with the Kriegsmarine until 1945. They survived until 1959-62. These ten small 70 tons boats (24 x 4.6 x 1.5 m) propelled by a 250 hp diesel to 10.5 knots were armed with a single 20 mm and a twin 8 mm MG. Three escaped to Sweden, three were scuttled in August 1943, and four were captured by the Germans and served with the Kriegsmarine. MS4 was destroyed but all the rest survived the war. They were renamed, modernized after the war and served until 1968-71. HVIDBJØRNEN (1929), MAAGEN, a cutter (1932), INGOLF (1934), HEJMDAL (1935), TERNEN (a cutter of 1937), and FREJA (1939). In addition there were the BESKYTTEREN, a patrol ship of 1900 and the Diana (1917), and the Islands Falk (1906). This would not be complete without the small crafts that were the 38 P1 class boats captured by the Germans in 1943 and the K1 class of patrol minesweepers boats of which nine fled in Sweden and the remainder were captured and reused by the Germans. 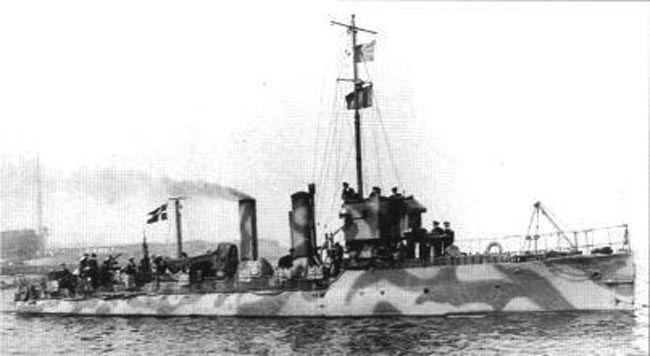 The fishery protection cutter Maagen, in wartime markings. Otzen, Theis (21 April 2015) Gentofte Lokalavisen “The Germans Attacked Sorgenfri Palace”. 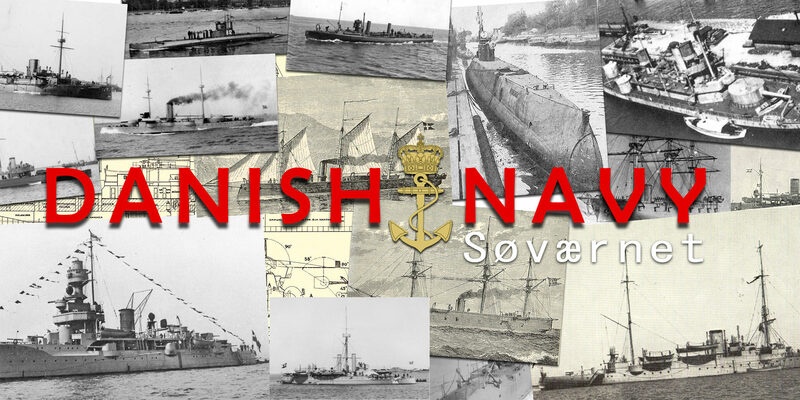 forum.worldofwarships.eu/topic/11538-royal-danish-navy-never-were-designs based on Vores Krydser and Vore Panserskibe by Commander Robert Steen Steensen.